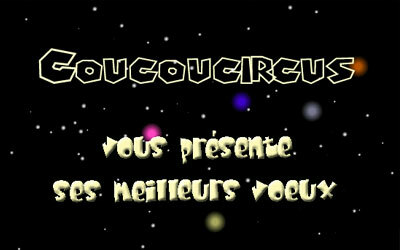 Current animation : Wallpapers with a short time of the coucoucircus's song by Bernard Minet. The intro of the site that has been so successful that it took the switch automatically for months ... 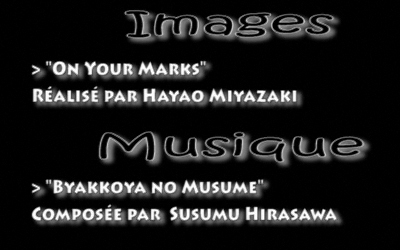 The images are signed Hayao Miyazaki: In 1995, On Your Mark, a music video to substantial budget, is performed to the song of the famous Chage and Aska. I have removed the most violent images to reduce the duration of the animation to the music I liked a lot and seemed perfectly stick to the mood of the animation: Byakkoya no musume, the main theme of the film Paprika composed by Susumu Hirasawa in 2006. Introduction of Christmas and New Year 2006. 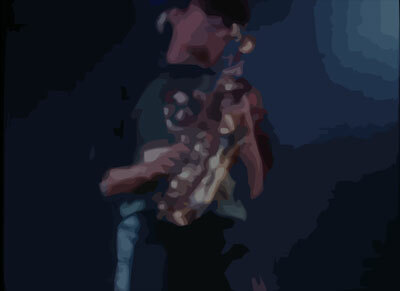 Regarding the pictures, they are born of a live show given in Tokyo by The Seatbelts. The Seatbelts, do I need to remind you, is a Japanese blues/jazz band directed by the composer and instrumentalist Yoko Kanno. This band made the whole soundtrack of the animation series Cowboy Bebop and produced in the whole 7 albums and 1 live video. Their style is much diversified and goes from a Jazz Orchestra to rock 'n roll ballads. 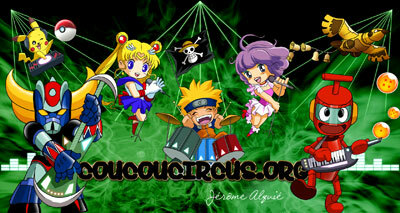 The website second introduction for the year 2006. 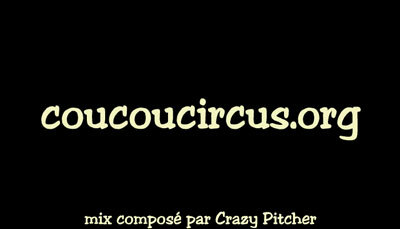 On a mix generously and wonderfully composed by the famous DJ Crazy Pitcher (at the moment played on radio waves), this time, I tested the video. 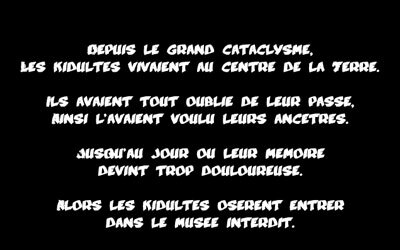 It gives in the end a really heavy animation, but what a pleasure to see back again some extracts among the famous classical ones: 21 jump street, Les mystérieuses cités d'or, Ulysse 31, Olive et Tom, Jayce et les conquérants de la lumière, Capitaine Flam, Goldorak, Candy, Rémi sans famille, Arnold et Willy, Alf, Ricky ou la belle vie, Starsky et Hutch, Hawaii police d'état, Capitaine Caverne, Mission impossible, La croisière s'amuse, Magnum. 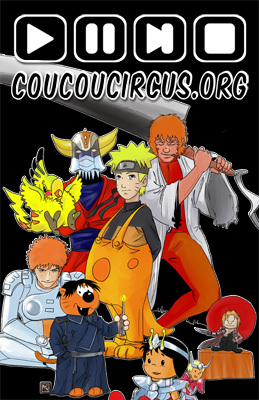 The first introduction of the website for the year 2006. On an introduction music born of the original soundtrack of the Mondes Engloutis, a small text adapted from this cartoon. Then a compilation of openings taken from the cartoon area. 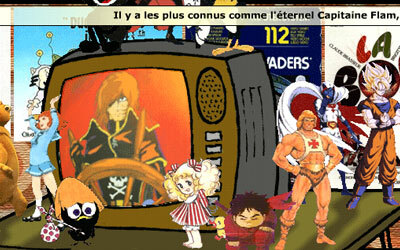 On the programme: Ulysse 31, Dragonball, Ken le Survivant, Galaxy Express 999, Les Chevaliers du Zodiaque, Equipières de Choc, Dare Dare Motus, Bouba, Tom Sawyer, Clémentine, Inspecteur Gadget, Le Monde Enchanté de Lalabelle, Flo et les Robinson Suisses, Max et Compagnie. Regarding the pictures, I called on a new functionality of Flash that permits to use different ways of merging the pictures (darken, lighten, product, harsh light, difference...). Animation realised for Christmas 2005. 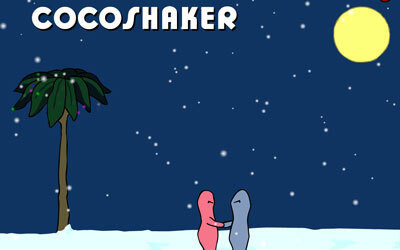 Animation realised picture by picture, and a new snow script. The website introduction for the year 2005. A very 70's environment, a compilation made of some selected passages taken out from the cartoons and TV series areas, with the adapted display of the TV. 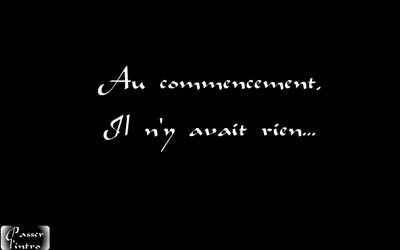 On the programme, Aglae et Sidonie, Albator, Capitaine Flam, Goldorak, Inspecteur Gadget, Lucille Amour et Rock'n Roll, Le Manège Enchanté, Bonne Nuit les Petits, Zorra la Rousse. 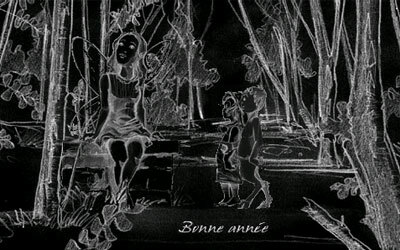 Animation for the New Years wishes for the year 2005. The music is born of the animation "Chobits" (Morning Morning). Animation realised for Christmas 2004. 8 pictures and 8 linked pieces of music chosen randomly and taken out from the OST area when the animation starts. Introduction of the year 2004. A first piece of music taken out from the animation "Vision d'Escaflowne" then another one very nice from "Last Exile" (Cover Stories) and some wallpapers of fashionable animation movies. 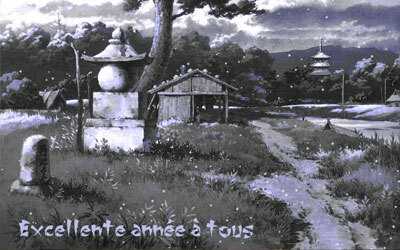 A second animation movie the New Year 2004. Still the same snow script and a small gif liven up with Sylvain, little character of the forest born of the wonderfull animation movie realised by Hayao Myazaki, Princesse Mononoké. Animation movie realised for New Year 2004. A little piece of music and some coding to liven up the text and the bulbs. Un ancien pilote disparu devenu ninja va avec son fils pratiquer son art martial pour combattre le crime. Cet homme est ... ?